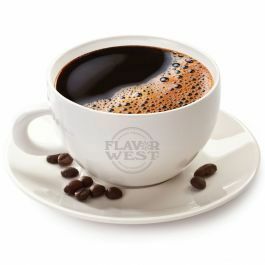 Café Coffee flavor offers an alluring aroma delivers the perfect flavor inherent in café cream. Type: Café Coffee Water Soluble Flavoring. Ingredients: Natural and Artificial Flavoring, Propylene Glycol, Ethanol and Water. USP Kosher Grade Flavoring. Usage Rate: 15-20% for E-use. Flavor suitability: Desserts, pastries and baked treats, yogurt, ice cream, candy and more. Specific Gravity: 1.04 No Refunds on Flavoring. Blends very well with FW's French Vanilla (8mL Coffee, 4mL French Vanilla). It is kind of weak though. I had to mix a 20% flavoring in my ejuice to really get a good taste. Next batch I might bump it up to 25%. Overall, very good. Just wish it was a little more concentrated, not much though.